Keina Sato was born in Saitama, Japan. She began studying piano at age of three. 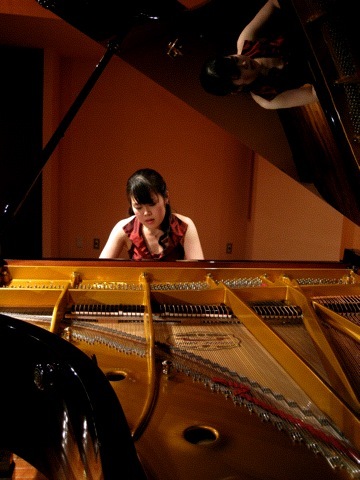 She studied with Prof.Emiko Harimoto and Prof.Hitoko Kurasawa at the Tokyo College of music on a scholarship. She was studying under Prof.Matti Raekallio and presently she is studying under Prof. Markus Groh at the Hannover University of Music, Drama and Media (Hochschule für Musik, Theater und Medien Hannover). She studied as a scholar of Nomura Foundation and the Japanese Government. She won prizes at several important competitions in Japan. 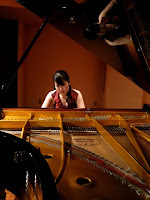 And she had also prizes, including third prize and Mozart prize at "d’Amadeo-Jeunesse" Piano Competition (Germany) in 2007, Grand Prix at the PTNA Competition in Tokyo in 2008, Special prize Chopin and Special prize F.I.D.A.P.A in the International Piano Competition “Luciano Gante” (Italy) in 2009 and second prize at Hong Kong International Piano Competition (Hong Kong) in 2011. She has performed with such orchestras, New Philharmonic Orchestra Chiba, Tokyo Philharmonic Orchestra, Tokyo New City Philharmonic Orchestra, Tokyo City Philharmonic Orchestra and Hong Kong Philharmonic Orchestra and worked with famous conductors, including Norichika Iimori, Ken Takaseki, Ken Hsieh, Taijiro Iimori and Vladimir Ashkenazy. She has a lot of concerts as soloist, accompanist and chamber music extensively in Japan, and also in Germany, France, Italy, Spain and Holland.